This was the 2nd year that Arizona Chess For Schools teamed up with the leading Scottsdale chess organization—Unity Chess Club, headed by FM Pedram Atoufi. 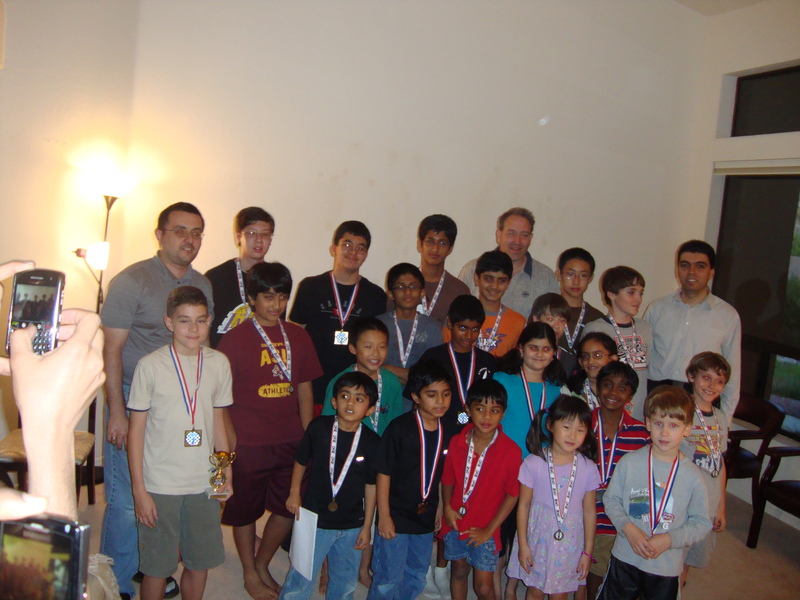 While the overall format of the Camp stayed the same as in all Western Alliance Camps, many details were nevertheless adjusted to better serve the Scottsdale Chess Community. The Camp was open to any age group roughly Under 1600 USCF, and would start at 9:00 AM sharp and end at 4:00 PM. Each day students would get the benefit of three 1.5 hour lectures and game analysis immediately afterwards. The Evening Events, which started at 5:00 PM and lasted until about 7:000 PM, included a Simul with a Master, Blitz, (USCF Rated) and Bughouse tournaments with prizes, certificates and trophies in each category. I am glad to inform that the camp was a huge success from start to end. First of all, the overall number of 30 participants of different strengths, age and backgrounds were very encouraging. Add to it the very comfortable rooms, a large Projector room and the flexible schedule used throughout the Camp, where lectures, playing time, game analysis and even blitz and casual bughouse games were routinely incorporated into the 3 day intense chess camp schedule. Students got the benefit of different coaches, who have not only very different personalities but also coach in very different ways, using very different time proven concepts, methods and examples. It was also wonderful to have so many new and young participants in the Camp, who would simply refuse to go home until all the games and all the Evening Events were concluded! It was truly wonderful teaming up with Pedram and I want to thank the coaches, his wife Sarah, all the parents, as well as all the Camp and Tournament participants for making this such a wonderful event. We are looking forward to organizing similar events this year in Scottsdale and are officially making the last week of July the official week of the Western Alliance Scottsdale Summer Chess Camp. We will be happy to post any articles, comments or pictures sent to us by the parents or the players. Below is the shortened list of the Evening Events and Prize Winners. July 28th– Simul with Levon Altounian: 17 Participants. Score: 17-0. Though many players played very well and got special Certificates, no one won or drew. Next time!